Denton Isolation Hospital was opened for sick and quarantined seaman by the Port of London Sanitary Hospital in 1884. All ships entering the Thames were inspected by the Port of London Authority and seamen found to have infectious diseases were taken to Denton by launch. It is interesting to note that Denton was still receiving its patients by boat long after Long Reach pier had closed in the 1930’s and patients to Joyce Green were now travelling by road. After the inception of the NHS Denton was administered by the Seaman Hospital Management Authority, in 1953 it was transferred to the Dartford Hospital Management Committee, it had 40 beds. Denton was closed in 1974 and a wing of B Block, Joyce Green was adapted into cubicles and used instead. 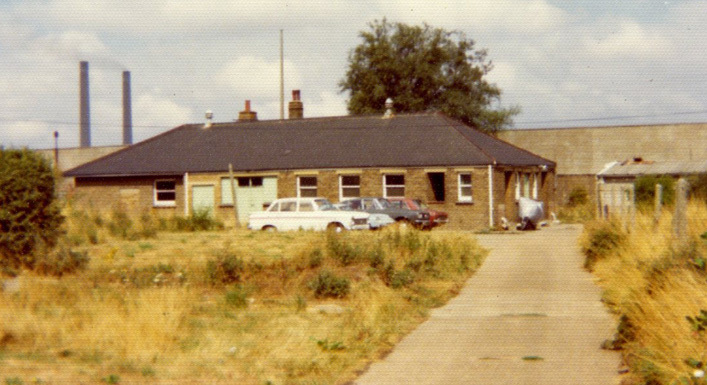 It was never fully used and the rest of B block continued to be used as a out patients for smallpox and other inoculations, finally the whole of B Block was taken over by Taylor Brook House when Bow Arrow Closed in 1982.